Under construction in the heart of Parklands North. 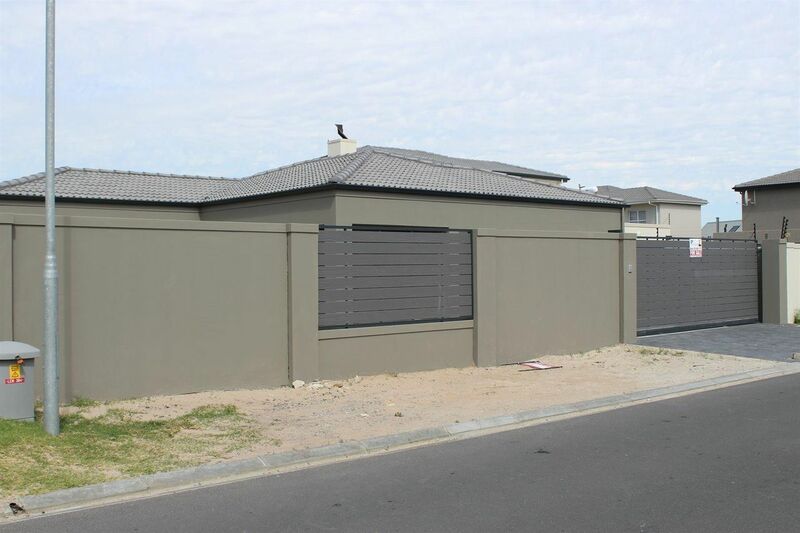 This modern, large single storey 272sqm home on a 540sqm stand, is fully walled, secure and private. An open-plan living area with glass sliders onto a large covered patio greets you on entering. Double garages lead into the home and have guest cloakroom on the right. Design your own kitchen, and finishes with island preparation consul and hanging lights. The north-facing master bedroom is en-suite and 2 children's rooms share an en-suite bathroom. A guest en-suite bedroom completed the sleeping arrangements. If you are looking for a North-facing entertainers home, finished to your specifications and taste then this is a definite option. Planned finishes include, tile and laminate floors, moulder skirting boards, granite tops in kitchen and bathrooms, alarm and so much more.